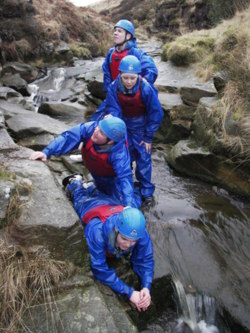 Contact us for our fantastic offers for school groups in Preston, Wigan, Blackburn, Bolton and throughout the Lancashire and Manchester areas During Winter 2010 / 2011 - £15.00 plus vat per young person plus vat for a half day of activities and £20.00 per young person plus vat for a full day of activities for groups of 6 or more. devote a great deal of time to schools Social and Educational Development - and has close links and partnership with many organizations and departments such as Youth Offending Teams, Connexions and Pathways to name but a few. have been asked to provide programs which are tailor made to suite both individuals and groups alike. These programs are used widely within the Greater Manchester, Lancashire and Lake District areas both in primary and secondary education. Our programs and sessions aim to give young people an alternative and fresh outlook, giving them a chance to challenge their and others social behaviour. The result being a proactive approach in reintroducing young people into the education system or work environment and giving them encouragement and the confidence to seek employment in the future. Our activity sessions are run in a fun and informative way. Employing the right instructor for the group is the key to our success. 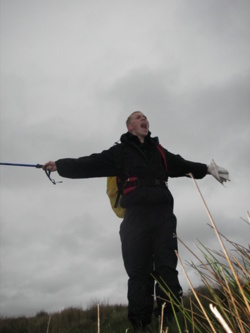 All of our instructional staff are hand picked for their outgoing personalities along with their wealth of experience and fun approach to educating young people in an outdoor environment. Where budgets allow we encourage groups with hard to reach young people to buy in the services of another of our instructors. This eliminates the problems of boredom when standing around during some activities and increases group participation. Teachers and leaders who choose this option have agreed that it worked to their advantage. we understand that rules are important in every day life, although we feel that during our sessions, rules take a back seat and group safety, environmental and health advice and information comes to the fore front. In turn mutual respect between clients and instructors starts to build from the outset allowing for a smoother running successful session. Below are a few points we raise at the start of every session, we are happy to discuss or add others as group leaders or teachers feel necessary. equipment is being worn due to risk of burning safety equipment and clothing. - litter must be disposed of in bags and put in appropriate bins after the session / day is over. This must include cigarette stubs and discarded food stuff. we understand that swearing is accepted in young peoples culture but we have a duty to ensure that the general public is not subject to bad and abusive language. There will be times when under pressure from the activity undertaken, that this may arise and we understand that this will occur. - spitting in public places is unacceptable and from a heath point of view should not take place around the equipment. This can cause cross contamination between group members or staff members when handling ropes etc. 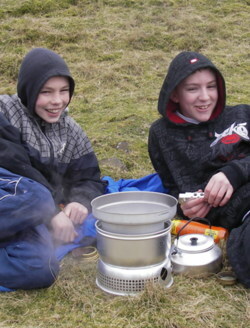 - although we encourage young people to take part in the activities we feel that pressure to do so has a long lasting detrimental effect on individuals and also can disrupt a session. We didnt think that our group of young people were in the right frame of mind to get on the water. However with the encouragement of the instructors and the friendly, open manner that the day was delivered, we had an extremely successful day, thankyou - Lancaster PAYP activities in the Lake District.